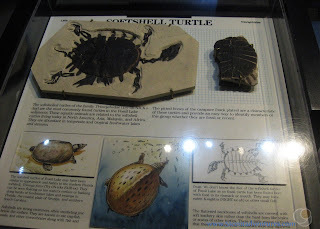 Description: Described as an "Aquarium in Stone" Fossil Butte National Monument contains hundreds of fossils that formed in an ancient lake. Many of the perfectly preserved fossils are on display in the visitor center. This is a great place for anyone interested in paleontology. Location: 15 miles west of Kemmerer, Wyoming. Less than 45 miles east of Bear Lake in Utah. Occasionally the entrance road gate will close due to severe winter storms. The upper road which leads to the picnic area, nature train and scenic drives closes during the winter from November first until late May. This was the very last place we stopped on the ninth and last day of the Southern Utah Road Trip that my husband and I went on for our third anniversary in May of 2010. We'd visited the Utah Field House of Natural History in Vernal, Utah before starting our drive through Wyoming to our home in Logan, Utah. During our three hour drive along the boring roads in Wyoming we decided to make one last stop before returning home. I can't remember how we even knew Fossil Butte National Monument existed. Neither of us had heard of it before this trip, and I've never heard anyone talk about it since. We must have seen a sign along the side of the road. We parked in the tiny parking lot outside the tiny visitor center. We walked along the path to the door wondering what we would find inside. I think we both expected the place to be boring, but instead we were amazed at what was inside. 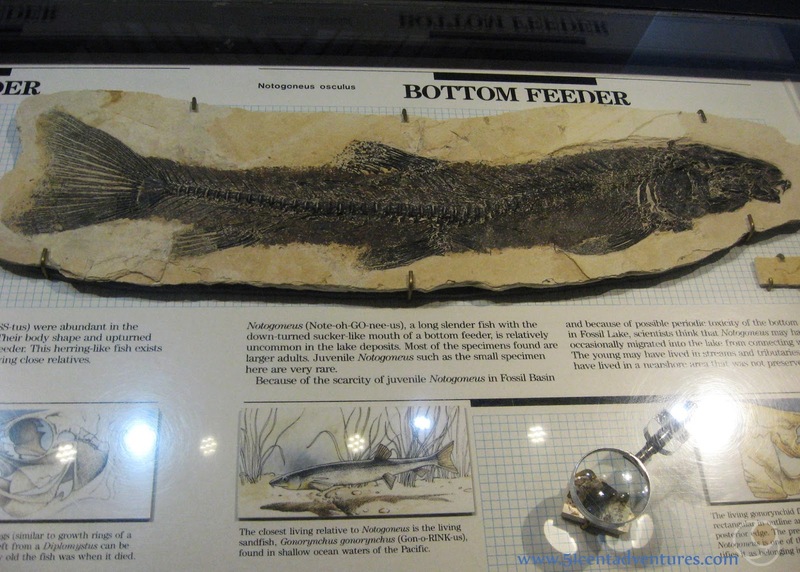 There were over 300 fish and other aquatic life fossils. What's impressive is that nearly every detail of the animals was preserved - not just the bones. I've never seen so many perfect looking fossils. The whole area around Fossil Butte National Monument was once a large lake. The fish and other animals that lived in the area would die and their bodies would settle on the bottom of the lake. Then sand and other sediment would cover their bodies. Over time this sediment turned to rock. The bodies of the animals were compressed and also turned to rock. In modern times this this area was discovered. People found that when they split the rocks apart they could find fossils inside. Fossil Butte National Monument preserves only a small portion of the area known as Fossil Basin. Many fossils found away from the monument are sold around the world. We spent a long time looking at the various fossils. Unfortunately, I didn't take many pictures. But I did take a few. Here is one of a turtle. And here is a fish. I was so impressed that the whole fish - not just it's bones were preserved. Probably the most impressive fossil in the whole museum was the one I wish I'd taken a picture of. There is a 13 foot long crocodile fossil prominently mounted on the wall. It was so crazy to think about a crocodile swimming around in what is now Wyoming. There's more to do at the monument then just look a fossils. During the summer and early fall you can drive on scenic drives or hike on trails around the monument. There is also a quarry program with a paleontologist on Fridays and Saturdays during the summer. Fossil Butte National Monument was one of my favorite unexpected surprises of this road trip. One reason I like going on road trips is that they provide opportunities to discover places that I've never even imagined. That was definitely the case with this little monument in western Wyoming. Recommendation: Reasons to visit Wyoming are few and far between, but Fossil Butte National Monument is one of those reasons. If you happen to be planning a trip through Wyoming you should check to see if you can work in a stop at this national monument. It will definitely improve your opinion of the state. 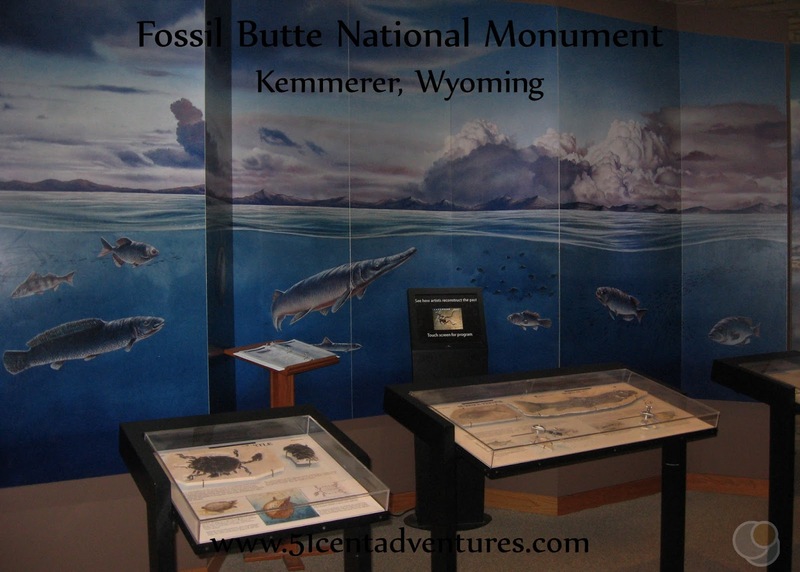 Directions: Fossil Butte National Monument is west of Kemmerer, Wyoming along Highway 30. It's also less than 45 miles east of Bear Lake in Utah. If you are going to be in the Bear Lake area you might want to consider a little side trip to the national monument. Next Stop: This was the final stop of our Southern Utah Road trip. The next year we'd go on a Northern Utah Road trip. I'll start writing all about that fun trip in a few weeks.